Time management is about more than just managing our time; it is about managing ourselves, in relation to time. 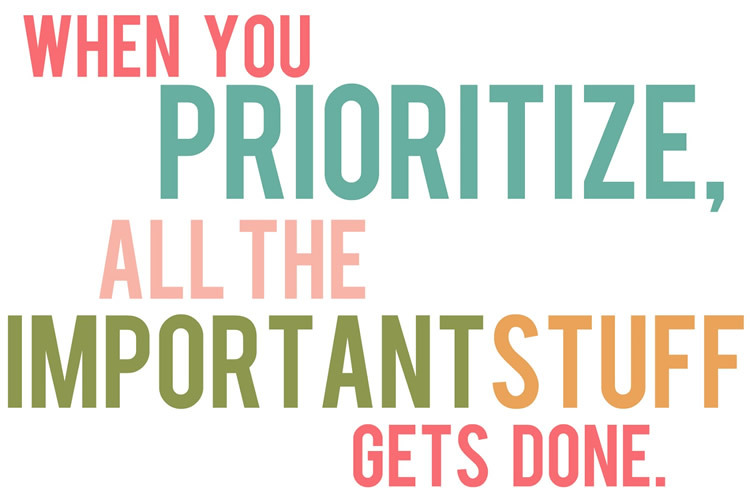 It is about setting priorities and taking charge. It means changing habits or activities that cause us to waste time. It means being willing to experiment with different methods and ideas to enable you to find the best way to make maximum use of time. Why not join on of our hands-on practical Time Management classes? Important: These are activities that lead to the achieving your goals and have the greatest impact on your life. Urgent: These activities demand immediate attention, but are often associated with someone else’s goals rather than our own. This concept, coined the Eisenhower Principle, is said to be how former US President Dwight Eisenhower organized his tasks. It was rediscovered and brought into the mainstream as the Urgent/Important Matrix by Stephen Covey in his 1994 business classic, The Seven Habits of Highly Effective People. 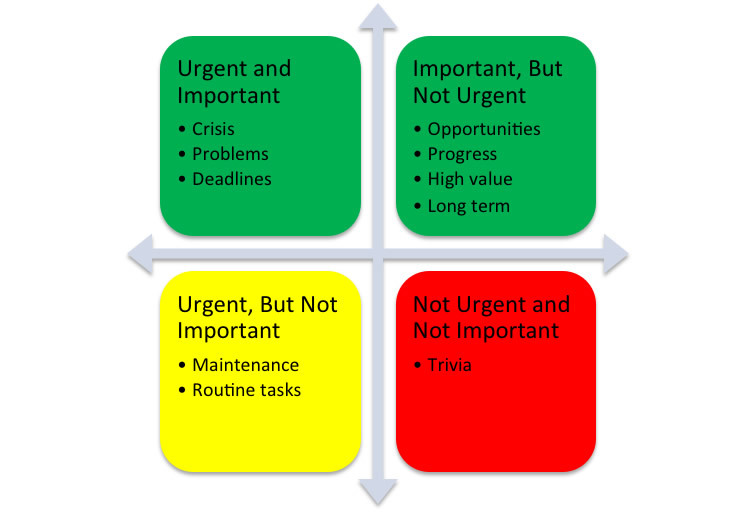 The Urgent/Important Matrix is a powerful way of organizing tasks based on priorities. Using it helps you overcome the natural tendency to focus on urgent activities, so that you can have time to focus on what's truly important. Important, But Not Urgent: These success-oriented tasks are critical to achieving goals. Plan to do these tasks next. At times, requests from others may be important and need immediate attention. Often, however, these requests conflict with our values and take time away from working toward your goals. Even if it is something we would like to do but simply don’t have the time for, it can be very difficult to say no. One approach in dealing with these types of interruptions is to use a Positive No, which comes in several forms. Provide an assertive refusal and repeat it no matter what the person says. This approach may be most appropriate with aggressive or manipulative people and can be an effective strategy to control your emotions. Example: “I understand how you feel, but I will not [or cannot]â€¦” Remember to stay focused and not become sidetracked into responding to other issues.